For instance, you can resize or rotate the source drawing to make it more suitable for your purposes. Resize option is capable or saving the proportions or resizing each dimension separately. Changing the color palette you can spare on the file size. 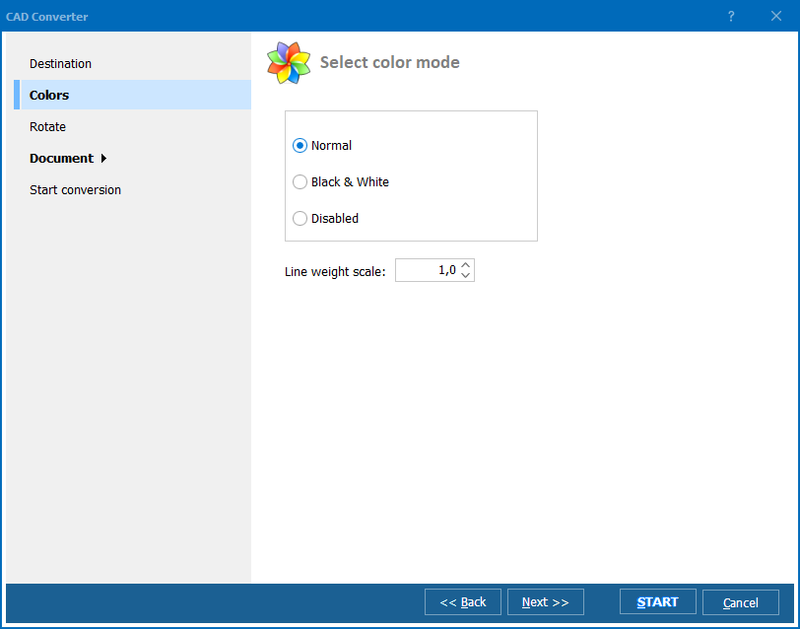 Among available palette modes is black & white, 8 color grayscale, 16 color, 256 color or true color (24bit). 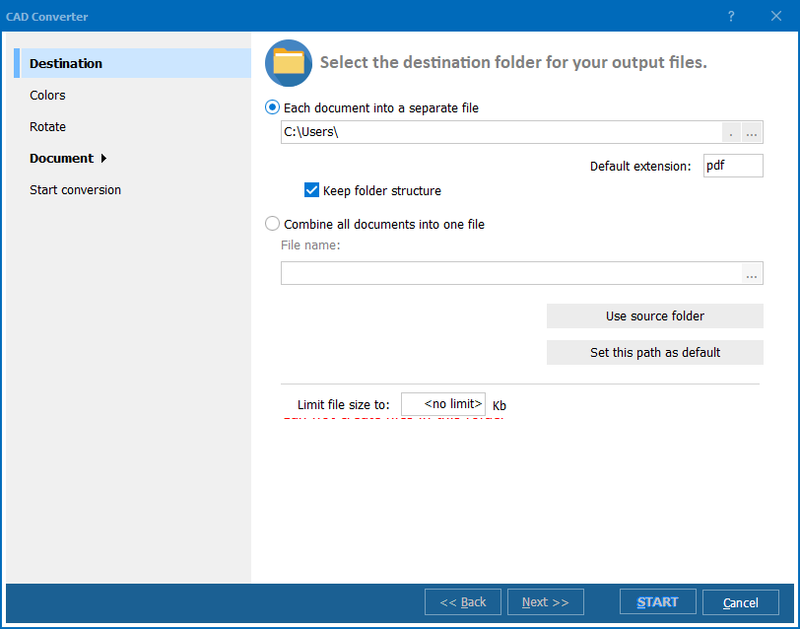 Working with DWG converter usually takes much time due to lots of settings, especially if you need to convert dozens of files, making settings separately for each one. 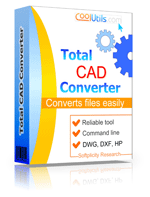 Total CAD Converter offers an advantageous alternative – conversion in batches. You can select any number of source DWG files and convert all of them into BMP within one operation, making the settings once for all files. Just select the folder for the future BMP copies and all of them will be stored there. If you wish, you can select the option to delete source files after conversion is complete. If you are used to work with command bar, you will find it suitable to use Total CAD Converter in command line mode. In such a way you need to enter a simple command line with all required parameters that are described in ‘Help’ menu. 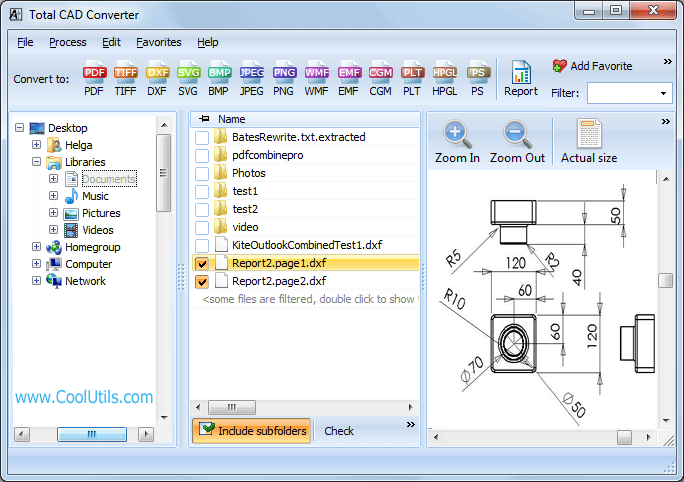 You are welcome to try Total CAD Converter before the purchase absolutely free. Convert GL2 to BMP comfortably. Convert DXF to BMP. Save time, it's easy.